Gary Battista's Gary's Guitars Collection - Collected It! Purchased new from Swathmore Music in the fall of 1979. I had a jazz pickup added a few years after I bought it. I later added a Badass II bridge. 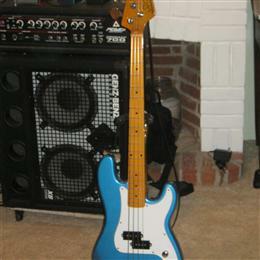 This thing sounds awesome... Sold this guy. Just wasn't getting played. Picked this 1990 Ric 4003 up. 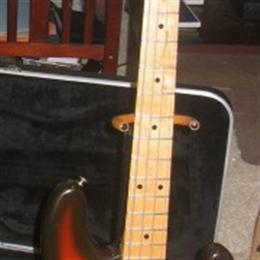 Neck has a profile that is much close to a Jazz bass than current Ric basses. 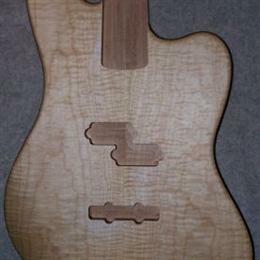 The neck is nice and straight and the frets are in good shape. (I'm guessing this bass had flats on it most of its life). I picked up the unfinished body on EBay and put this together over the course of about 2 years. This finally became a truly wonderful instrument when I dropped in a set of EMG pickups and gave it a Warmoth Jazz style neck with and ebony fingerboard. 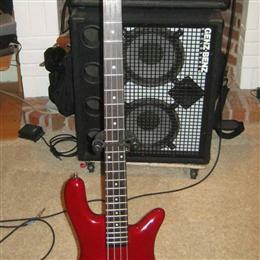 After some time with EMGs I have switched to Bartolini Classic pickups. Very warm and clear sounding, it mixes well in a live setting. Was looking for a good P-bass sound with a little extra something from the J pup. Barts filled the bill. Picked this up on EBay. 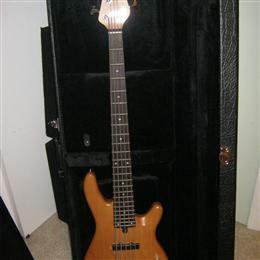 It arrived with cusom wound Fralin pickups and a custom Warmoth neck. I love the sound of this guy! 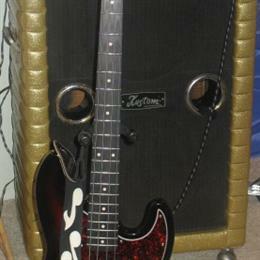 Also, take notice of my Kustom 2x15 Tuck and Roll cabinet. I gave this as a Christmas gift to my daughter who immediately named it 'Blue Belle'. 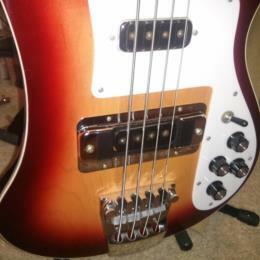 I replaced the original pickup with a Fender 62 reissue and put flat strings on it. Very traditional P-Bass sound.